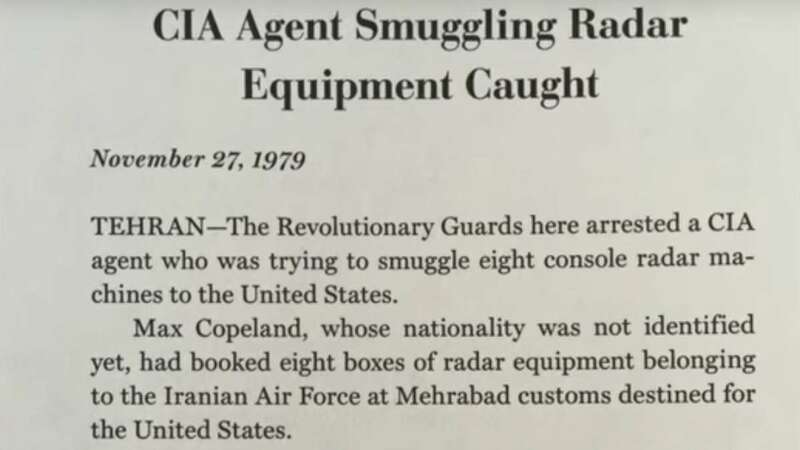 In 1979, an abandoned CIA operative was imprisoned in Tehran. That man was my father (and Philly denizen) Max Copeland. Long before such charges became fashionable, Max was the first American to be tried for espionage in revolutionary Iran. My Iranian mother became the first female attorney in the Islamic Republic so she could defend him. In 1979, an abandoned CIA operative was imprisoned in Tehran. That man was my father (and Philly denizen) Max Copeland. Long before such charges became fashionable, Max was the first American to be tried for espionage in revolutionary Iran. My Iranian mother became the first female attorney in the Islamic Republic so she could defend him. Thirty-five years later, I set out to discover the truth — had he been a CIA agent all this time, or an unfortunate man in the wrong time and place? Despite State Department warnings, I traveled to Iran last year, and returned with anecdotes — some funny, some heartrending — about the country that has been cut off from the world. Max’s Radar Affair, the handwriting across the file said. I recognized my mother’s cursive — as well as her flair for drama. The story contained in this file had all the markings of a classical affair. Secret meetings. Unaccounted-for hours. Divided loyalties. For 30 years, the file had lain dormant at the bottom of this box — which had followed us Copelands from Iran to Pennsylvania, through four suburban homes, to the dusty corner of the library where it now resided. In a strange way, I believe it was my father’s will that I found the file. Last week, a land prospector called with news of mineral rights that once belonged to my dad. “They’re yours if you can prove ownership,” she told my mother, who promptly dispatched me to the study to locate my father’s will. I was buried deep in the wilderness of boxed diplomas, old address books, photos, tax files, and receipts, when from the bottom of a box of relics, the past coughed up a different nugget. “Open it,” my mother said. Into our laps spilled several documents. The first was a newspaper clipping dated Nov. 27, 1979. A succession of other documents fell from the file, their pages delicate and crisped by time. There was a formal rebuttal written by my father disputing the charges. An affidavit from Secretary of State Cyrus Vance. A packing list. A long letter from my mother to Iranian president Banisadr — a review of which brought tears to her eyes. “You know, of course, your father was a CIA agent,” she said. It was not the first time I’d heard her say this. I suppose a review of salient facts did suggest a career in intelligence: low-profile jobs in defense and high-tech industries. Broad knowledge of Iran. And he was caught up in an international incident that somehow never got any play beyond those couple paragraphs in the Tehran Times. But a CIA agent? I remembered him as an academic whose greatest hours were spent in the company of books. A hunter. A mindful adventurer who could never quite get enough of mountain ranges, seascapes, and the oddities of different cultures. It irked me, hearing her call Dad a spy. “Tell me about Dad’s arrest,” I said. I knew the tale well enough, but somehow it had never sat right. My father was too sincere to traffic in government secrets. His love for Iran was genuine. But ever since the CIA had organized a revolution in 1953, Iranians have come to distrust the motivations of Americans. Just a couple of years ago, three American hikers had been accused of espionage after “inadvertently” crossing into Iran. It was of course a perfectly ridiculous claim — every bit as absurd as their choice of destination — but it prompted my mother into her latest act of volunteer diplomacy. She drew up a letter to Hillary Clinton offering personally to negotiate their freedom. “I sacrificed much more for your father, a real-life spy, so why shouldn’t I defend these innocents?” she said. It didn’t cross her mind that, at 80, she might no longer have the connections needed to pull it off. But even today, you cannot underestimate her. Sadly, she did not hear back from Secretary of State Clinton. Or maybe she never got around to mailing the letter. But that afternoon for the gazillionth time, she recounted the events leading to my father’s capture and resulting trial. Through the years, with each retelling, I felt a deeper regret that I didn’t know my father better. All children have unresolved questions about their parents, of course, but this was no trifling matter. Was he a spy? Then it struck me: I had a file on my father. If he had been a CIA agent, they’d have a file on him, too. That week, in a bid to put the past to rest once and for all — for myself and my mother and sister — I filed a Freedom of Information Act request with the CIA. Passed into law by President Clinton, the act allows previously classified documents that were more than 25 years old to be released. If my father were a CIA agent, his file would certainly meet these guidelines. A dead agent doesn’t worry about his cover being blown, right? I also filed inquiries with the FBI, the Department of Defense, the State Department, and President Carter. A flurry of letters flew out into the world, each a bid to open my father’s long-dormant past. I held out hope that someone, somewhere knew something — and, like the file I’d unearthed, that thing would fall gracefully into place. Which just shows you how much I know about the world of intelligence. I have an American father and an Iranian mother. I have the blood of the Great Satan and the Axis of Evil in my veins. The year 1979 launched the Iranian revolution and Islamic fundamentalism on an unready world, and in revisiting that year and its dramatic events, I saw how the fracture between the two countries was written into our lives — and played itself out in microcosm while Iran and America did battle. Our story was a prism. While all eyes were on the hostages, our crisis played out in jail, in court, across international borders — and in private. Was my dad a spy? Were the charges leveled against him true? Were my father alive today, he’d have pushed up his glasses and said in a voice that left little room for discussion, “Cyrus, I don’t want to talk about it.” But we Copelands had an adventure, a tale that goes back three decades to the fault lines between Iran and America. And it needs to be told. Taken from the prologue of “Off the Radar: A Father’s Secret, a Mother’s Heroism, and a Son’s Quest” (March 2015, Blue Rider Press). The son of an American father and Iranian mother, Cyrus M. Copeland moved to Iran with his family at age 10. 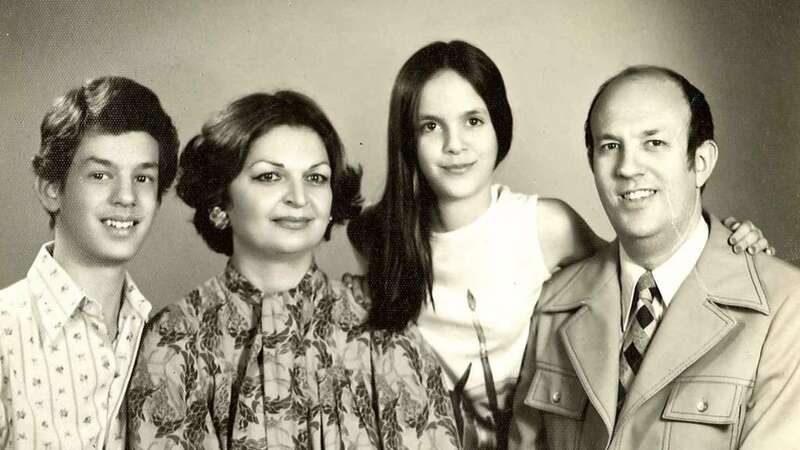 After the 1979 revolution, the family moved from Shiraz to Tehran. Upon returning stateside in 1980, Cyrus attended Haverford College and Villanova University, then went on to get his MBA from Cornell. Cyrus has traveled coast to coast, talking about the art of remembrance, and now his own experiences, stories, and perceptions of Iran. He has appeared on TV, NPR, BBC, Voice of America and has written about his experiences for The New York Times, The Boston Globe, Slate, and the Huffington Post.